Mohan Kumar is a Wayanad-based restaurateur who has seen better days in his career. His eatery used to do brisk business when this picturesque district was receiving tourists round the clock. But ever since night traffic ban was imposed on the road passing through the tiger sanctuary in Bandipur across the Karnataka border, Mohan Kumar and the others engaged in similar trade are struggling for customers. The Gundlupete-Wayanad NH 212, NH 67 routes pass through Bandipur forest and are, therefore, closed for vehicular traffic from 9 pm to 6 am, following a 2010 order of the Karnataka High Court. The ban restricts the number of vehicles that can ply to nine state corporation buses belonging to both Kerala and Karnataka, apart from emergency vehicles. Earlier, hotels and resorts in Wayanad used to be a big hit with Bengaluru-based IT professionals, who would troop in over the weekend to take a break from their heavy workdays. They would come and spend time in the serene settings and get back to work, recharged. The travel restrictions have acted like a big dampener for this section of travellers, thereby seriously hitting the hospitality business. Mohan Kumar said that Wayand’s tourism economy today is in tatters as the tourist areas often wear a deserted look. The Kerala government has tried to raise the issue of the contentious night-travel ban on the ground that it was affecting the economic development of the state, apart from creating problems for tourism. The issue is now before the Supreme Court. To make matters more complicated, conservationists and wild life activists have opposed any relaxation in the restriction saying that it could harm the habitat of Bandipur tigers. The National Tiger Conservation Authority has stepped in, asking the government to drop the project since it could harm the habitat of tigers and other wild animals. Activists claim that over 200 animals had perished in three years between 2004 and 2007, which led to the night traffic ban. Certain solutions are under consideration, including the construction of elevated corridors so that the animals are not disturbed in their habitat, but these are long gestation propositions. 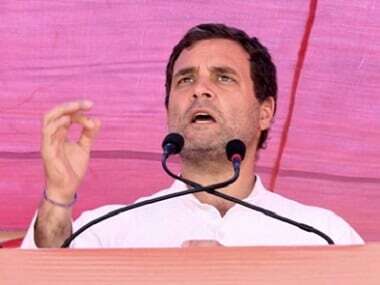 The tourism industry is, therefore, expecting Rahul Gandhi — who is scheduled to visit the constituency on Wednesday as part of his Kerala campaign tour — to give reassurances that he would help sort out the problem as his party is in power in the Karnataka coalition government. 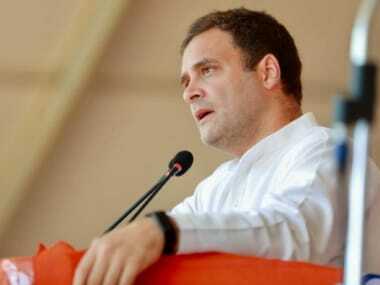 There are also other pressing developmental issues waiting to grab Rahul’s attention. Wayanad’s tribals have been completely left out of the development dynamics and they live a miserable life despite the best efforts of successive governments to ameliorate their plight. The adivasis are landless people, and a long-drawn agitation to secure land for them has not yielded any positive result. Sixteen years ago, under the leadership of activist CK Janu, the tribals occupied the forest land in Muthanga, setting up their huts there and taking up cultivation. But in a most brazen and unilateral action, the police and security personnel set fire to the huts and unleashed violence on the protestors. The scars of the infamous protest, which became a landmark in the history of tribal resistance, have not healed yet, and their demands still remain unfulfilled. The tribal areas also suffer due to chronic drinking-water problems and lack of proper roads and communication. The tribals have to trek miles together to fetch drinking water, as the infrastructure for schooling and healthcare is primitive. They complain that the politicians pay scant attention to their problems. This, they say, applied to MI Shanavas, the two-time Wayanad MP belonging to Congress, who died months before he could complete his second term. Rahul needs to address these concerns during his campaign. Wayanad also bore the brunt of 2018's floods and landslides, which broke the back of farmers, who are yet to recover from the effects of the devastation. Thousands lost their homes and belongings and the reconstruction and rehabilitation efforts leave much to be desired. Wayanad — the biggest producer and exporter of coffee and pepper in India (coffee is being cultivated on 59,000 hectares while pepper is being cultivated on 25,000 hectares) — has around 85 percent of people depending on agriculture for livelihood. It has been facing farm distress due to falling prices, dwindling productivity and impact of climate change. Farm distress has affected thousands of farmer families, leading to a number of suicides as they were unable to repay their bank loans. The banks have shown no mercy and there is deep resentment over the failure of the authorities to effectively intervene in the problem. Activist groups on their part have prepared a people’s charter drawing Rahul’s attention to the threats faced by the district’s fragile ecology and suggesting a broad action plan for ecological revival and sustainable development of the district. The five-page charter — the result of an initiative by Wayanad Prakruthi Samrakshana Samithi (WPSS) and Wayanad Karshaka Koottayma, a collective of farmer organizations in the district — has been sent to Rahul to seek his help in charting out a roadmap for sustainable development of the district. The charter suggests a five-point action plan for environmental and agrarian revival of Wayanad, including conservation and increase in area of natural forests, regulated tourism and land-use management, steps to assure sustainable income for farmers, growth of agro-based industries and promotion of bamboo cultivation in farmlands. The charter calls for adoption of a strategy to ensure that no more natural forests are converted for non-forestry purposes. While a win for Rahul in Wayanad is a foregone conclusion, the Congress and its state election machinery have set themselves the target of achieving the highest victory margin for the party president. 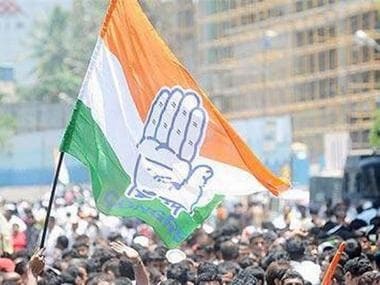 Wayanad is considered to be a Congress bastion, having elected the party candidates in two elections since the constituency was created in 2009. The constituency comprises three Assembly constituencies in Wayanad district (Sulthan Bathery, Mananthavady and Kalpetta), three Assembly constituencies in Malappuram district (Eranad, Wandoor and Nilambur) and one Assembly constituency in Kozhikode district (Thiruvambady). Wayanad has also been in the news for the wrong reasons since Rahul announced his candidature from the constituency. BJP president Amit Shah walked into a storm by saying it was difficult to distinguish Wayanad from Pakistan, obviously a reference to the proliferation of Muslim League flags. The league is a decisive force in the constituency, accounting for 45 percent of the electorate in Wayanad, followed by Hindus 41 percent and Christians 13 percent. Shah's jibe followed one by Prime Minister Narendra Modi, in which he said the Congress president was moving into a constituency where the minority is the majority. Both have faced flak for their remarks. Uttar Pradesh chief minister Yogi Adityanath has already invited Election Commission action for his description of Muslim League as a "virus". 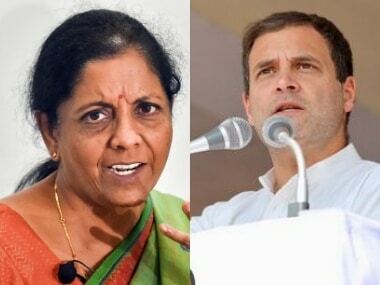 Adding some colour to the contest is the presence of a couple of Rahul Gandhi namesakes in the fray, although no one sees them as of any consequence. 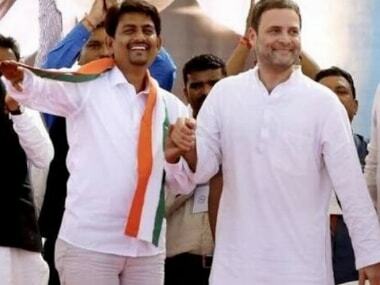 They are KE Rahul Gandhi, 33, from Kottayam contesting as Independent. Another K Rahul Gandhi from Coimbatore has also filed the nomination. Another one named KM Shivprasad Gandhi from Thrissur is also in the fray, making it four Gandhis in fray from the constituency.